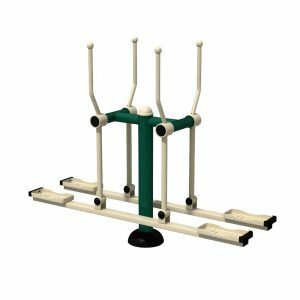 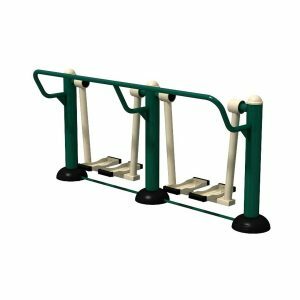 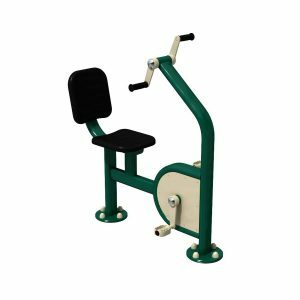 The Resistance Squat Station has been specially designed for adults to build muscular strength in the legs and quads while increasing cardio strength. 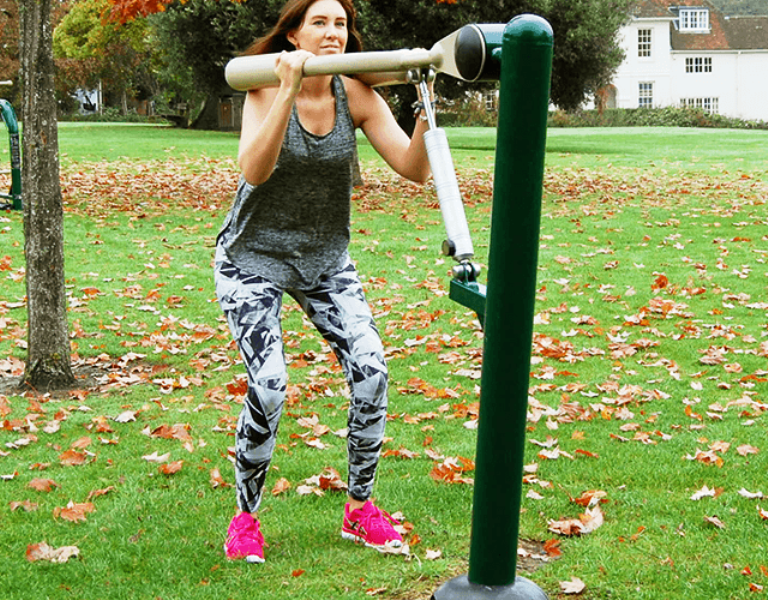 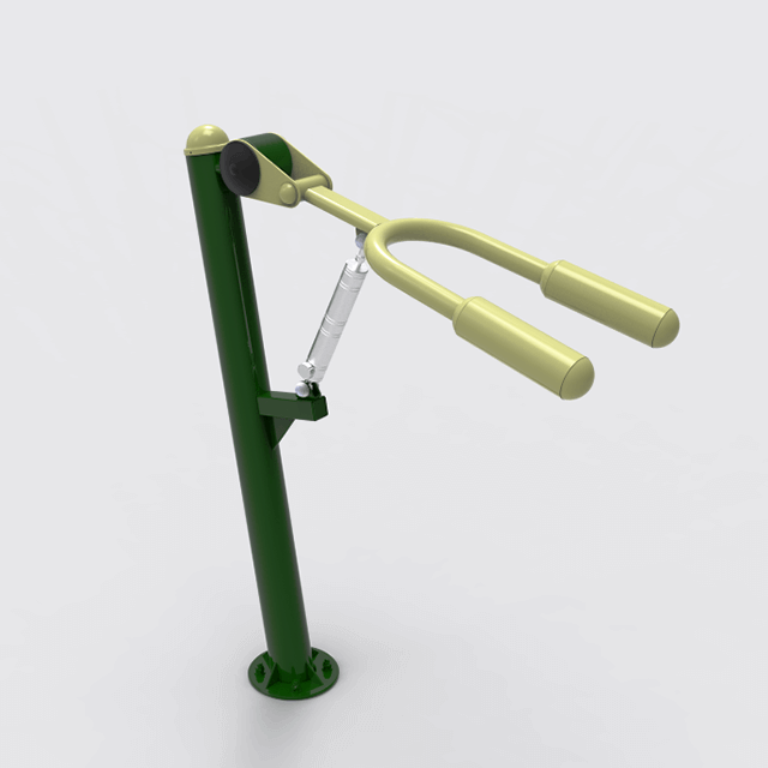 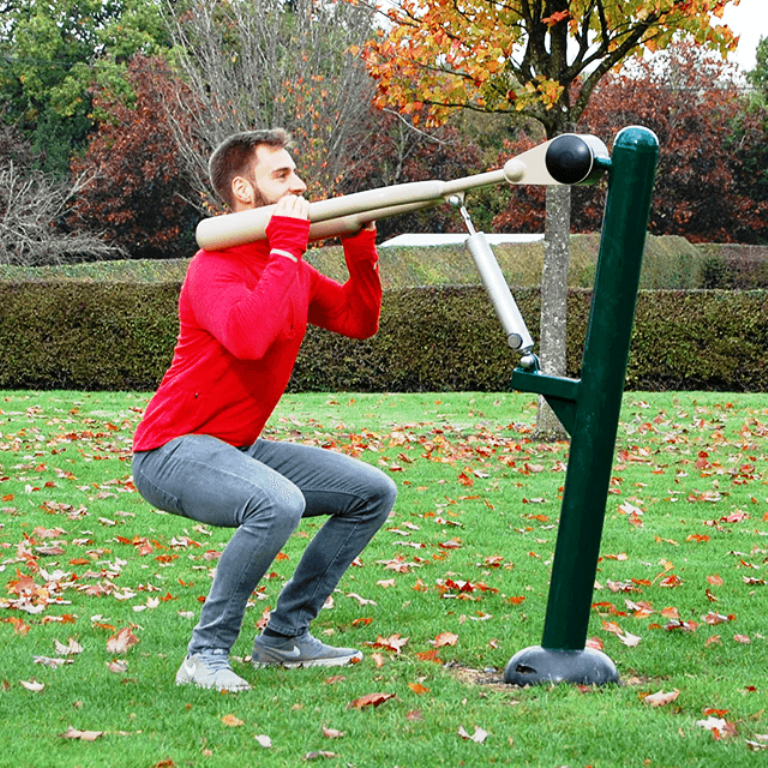 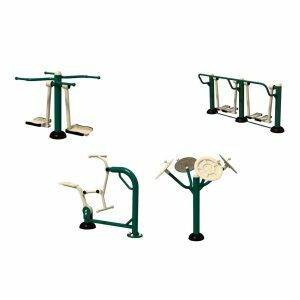 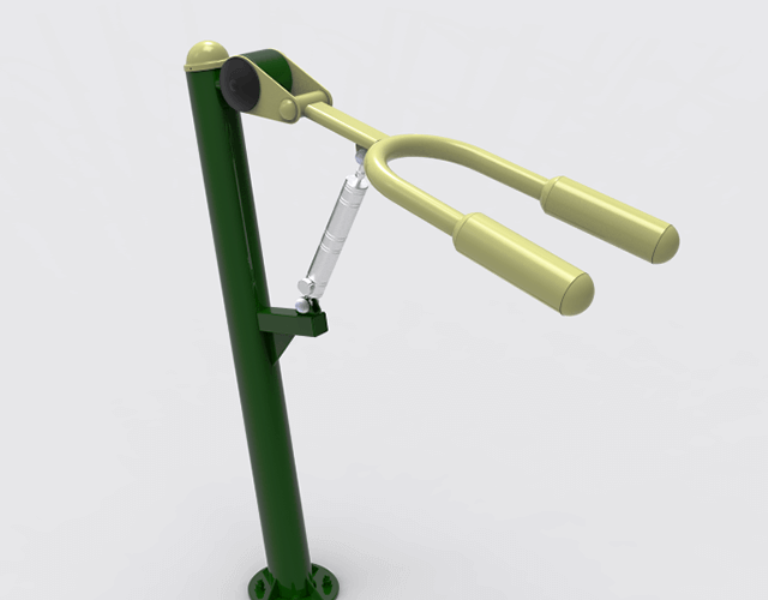 Just like squat stations found in an indoor gym, the outdoor Resistance Squat Station allows the user to set the required difficulty level 1-11 before squatting against the machine for additional resistance. 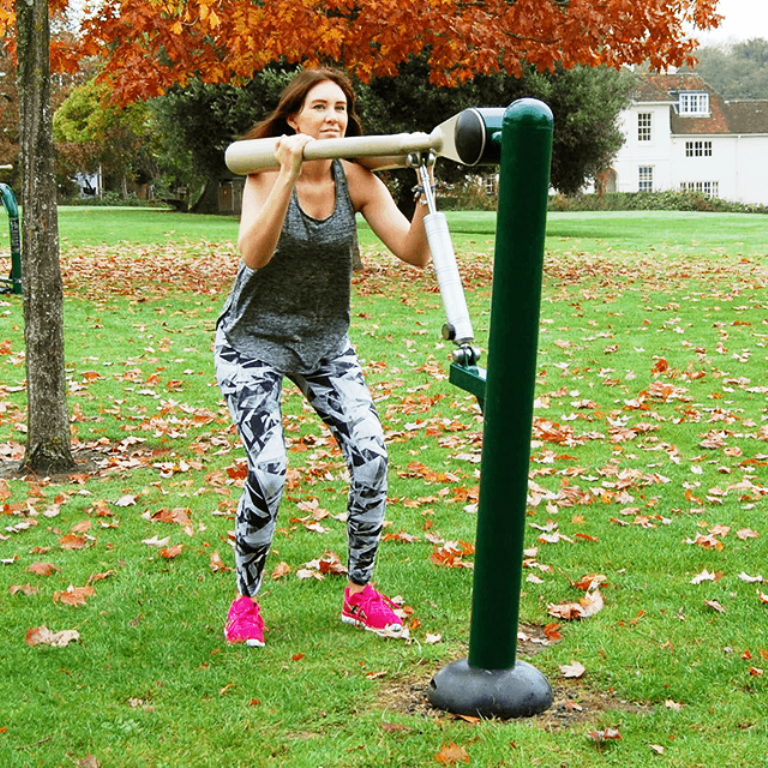 Suitable for all abiliites, users new to fitness simply select the lowest intensity while those who workout regularly can set themselves a much harder challenge using a higher level. 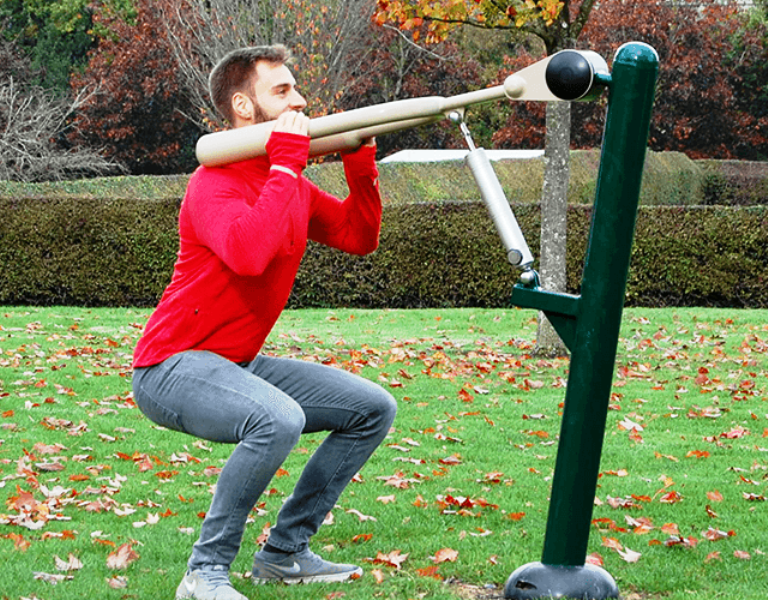 The Resistance Squat Station is clearly labelled with safety-in-use guidance and with suggested workouts to help users get the greatest benefit.